A speech therapy notes template is the perfect tool to keep parents updated and informed about what’s happening in the therapy sessions of their child. A speech therapy notes template can be quickly filled up by marking the lines corresponding to the activities carried out in the session. 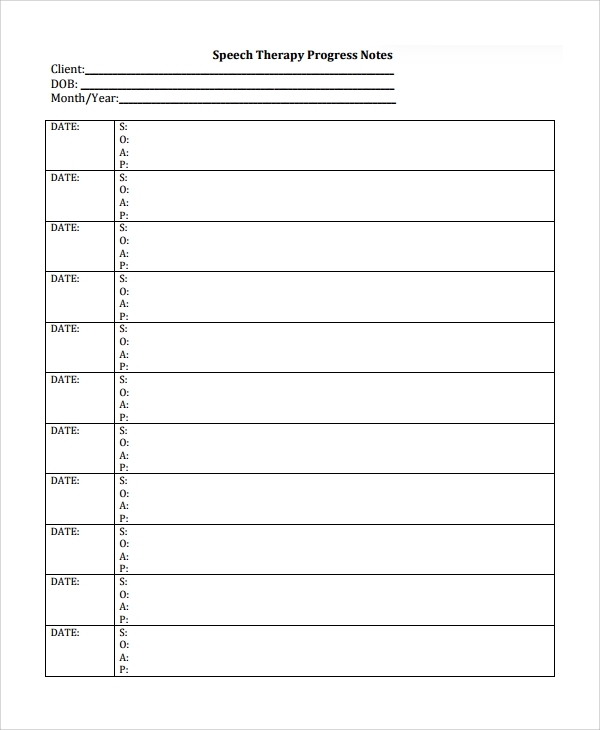 Such a template usually has space to write extra notes and to instruct parents about home activities. 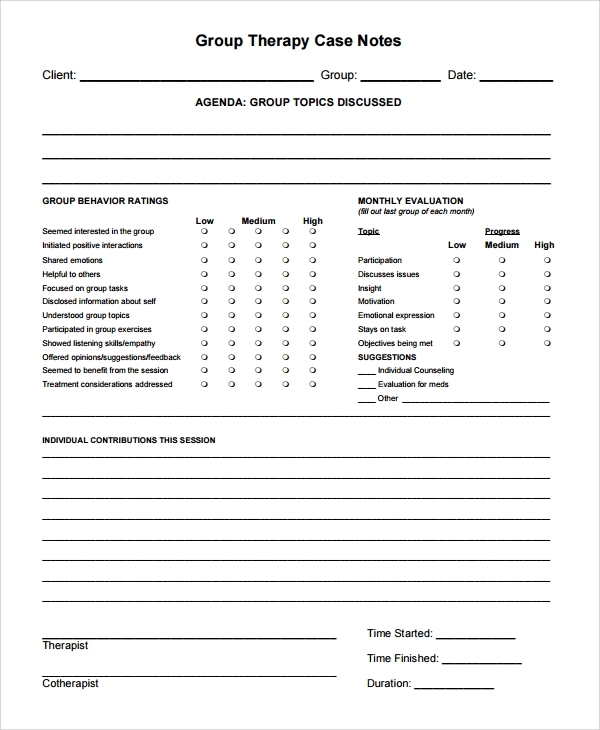 Whenever there’s a scheduled group session, the group therapy notes templates would add links to the progress notes of each participant in the list. Participants usually have their own progress notes and therapy plans. The note names are automatically set up and information is collected from the personal notes of each participant. Documentation is important in all physical therapy procedures. 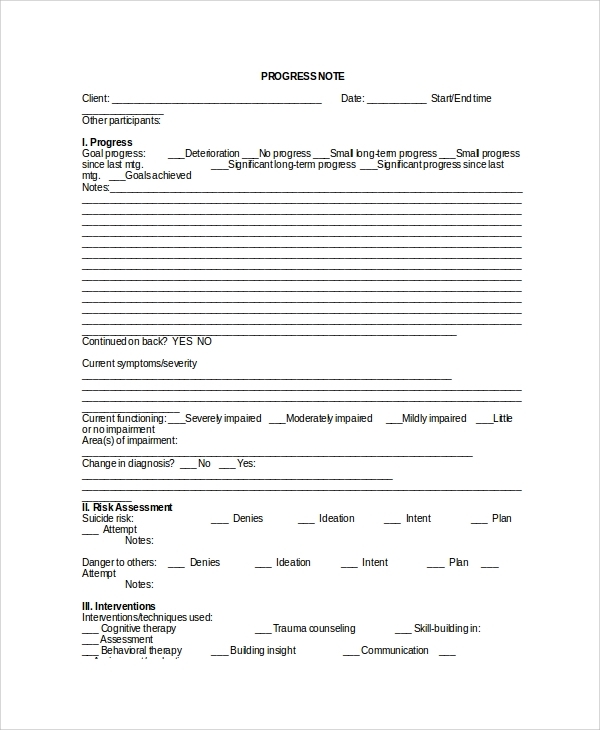 A physical therapy notes template includes the first encounter with the patient, daily notes of progress and everything that transpired during treatment, re-examination of patients whenever necessary, and discharge notes. 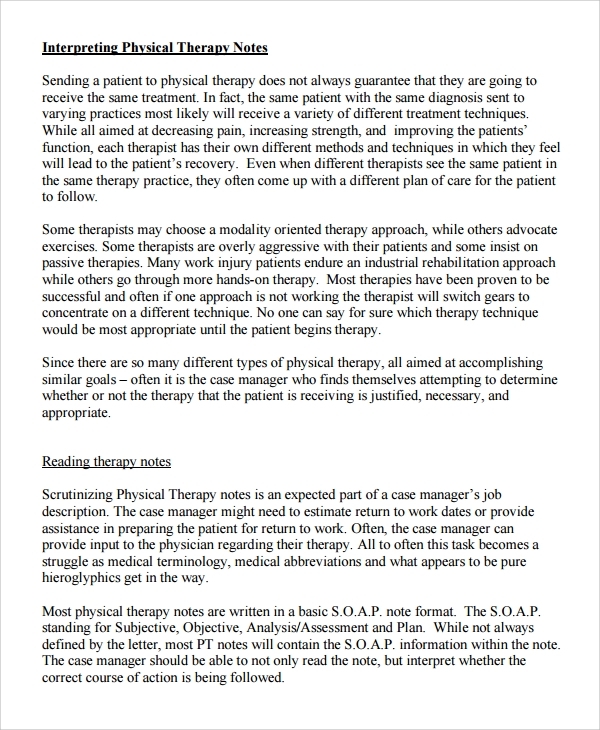 There are various types of physical therapy notes templates used by physiotherapists and caregivers. 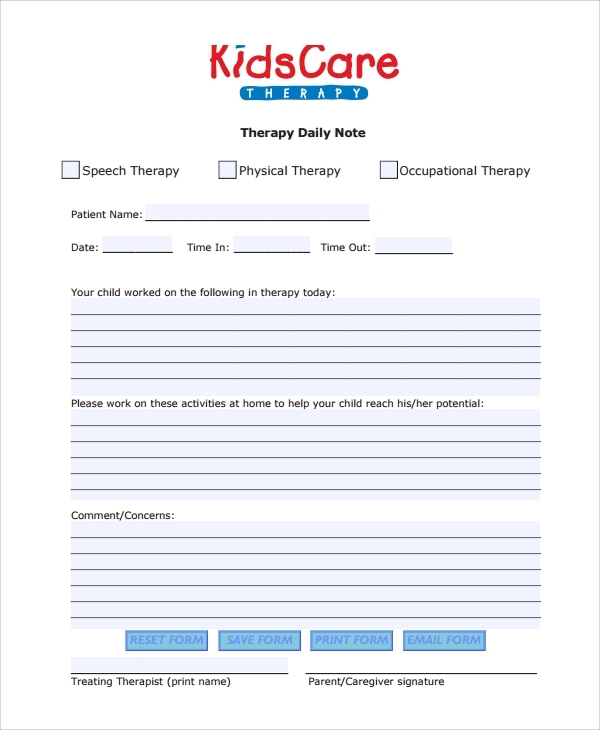 A message therapy note template is an integral part of the overall healthcare record that therapists manage for every patient. There is much vital information regarding each patient and electronic message therapy note templates have been of real help with their distinct advantages over the traditional paper record. The template can be synced with other templates as well. It’s easy for clinicians to document diagnosis, clinical assessment, intervention and the follow-up treatment. Documentation on whether a therapist is following the standards of care, utilizing proper interventions and describing the results, and documenting the case disposition. Physiotherapists can track the effectiveness of clinical intervention and the progress via the template. The notes can serve as a memory aid. Can record conversations with other therapists for consultation, collaboration or facilitate referrals. Helps in recording treatment plans and adjustments according to individual patient needs. Clinicians can focus better on their work instead of trying to remember each patient’s clinical record or progress of treatment. Can incorporate changes according to laws and regulations, as and when required. Helps to generate meaningful reports about the care given by the therapist during audits. An increasing number of healthcare providers are realizing the value of therapy notes templates that help them in several ways to lend a better experience to patients. A well documented therapy notes template is important when it comes to determining whether a patient’s condition is improving over time. It’s essential for all clinicians to keep a concise but comprehensive progress note of each patient during the therapy period.